One of my favorite things to do when I’m in a foreign country is try the different snacks. 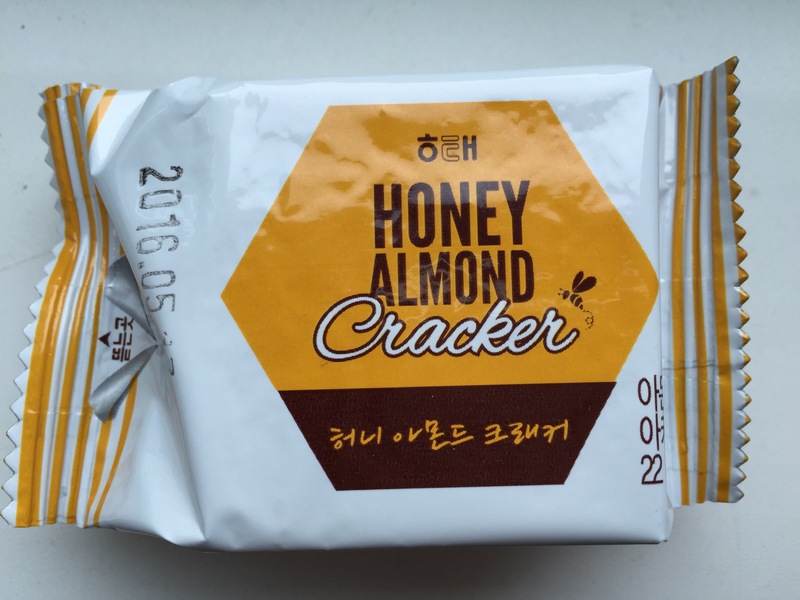 So when I saw these snacks the other day, I decided I needed to grab a few to try so that I could share the my thoughts on the yumminess factor of each snack with you! 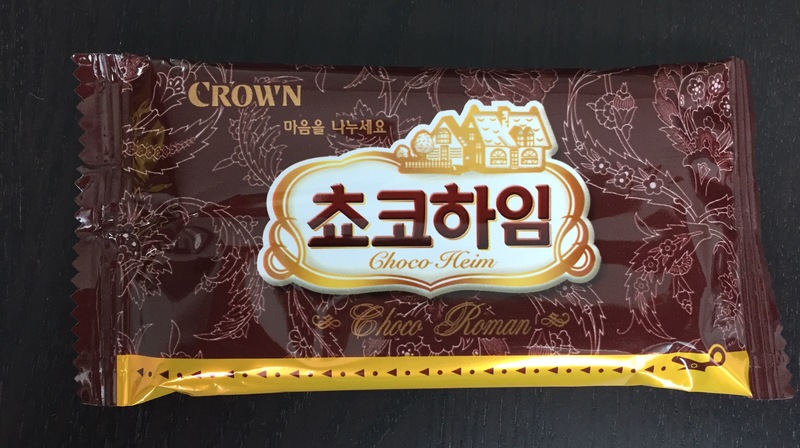 This snack says Crown on the outside and calls itself a Choco Heim. The package is quite thin, when you open up the wrapper you see a thin wafer type exterior. 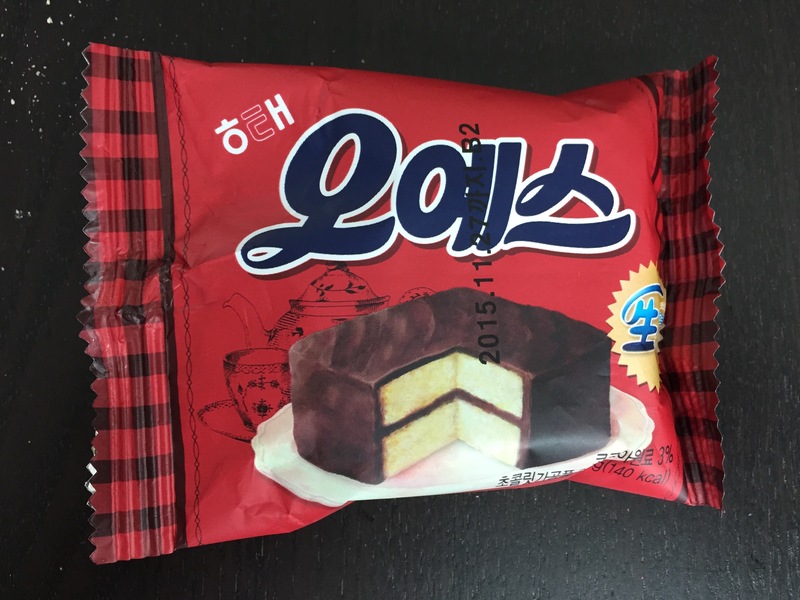 Once you take a bite you get to the chocolate cream inside the wafer, which tastes similar to Nutella. It is really light and yummy! 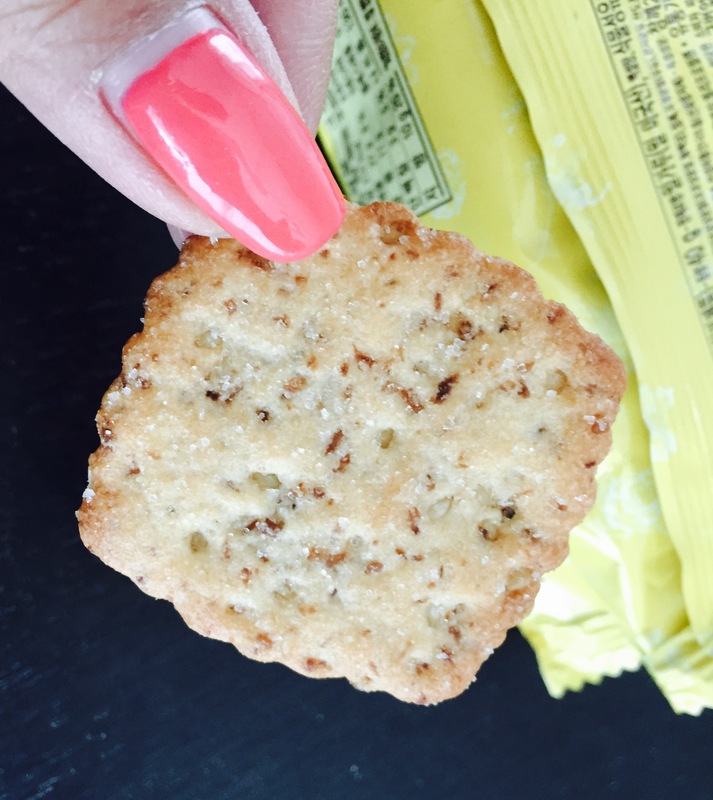 Inside this bright yellow package, this snack looks like a savory cracker, however, once you take a bite it is a buttery, sweet sesame cracker. This guy had so much promise from the inside, but once you opened up the package you have a hard chocolate exterior. Then you take a bite and taste a dry yellow cake. I don’t recommend it at all. I love honey and I love almonds, so I figured I can’t go wrong! 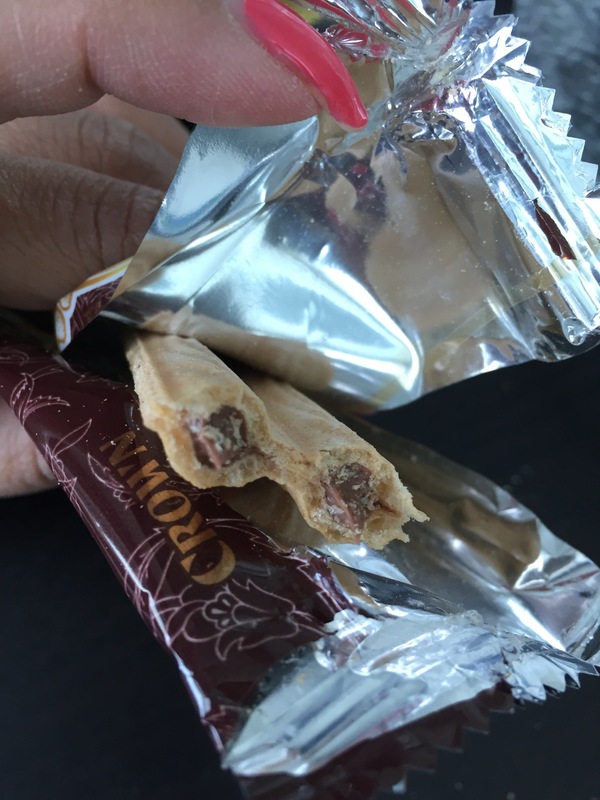 I opened up the package and you can see the almond pieces outside. 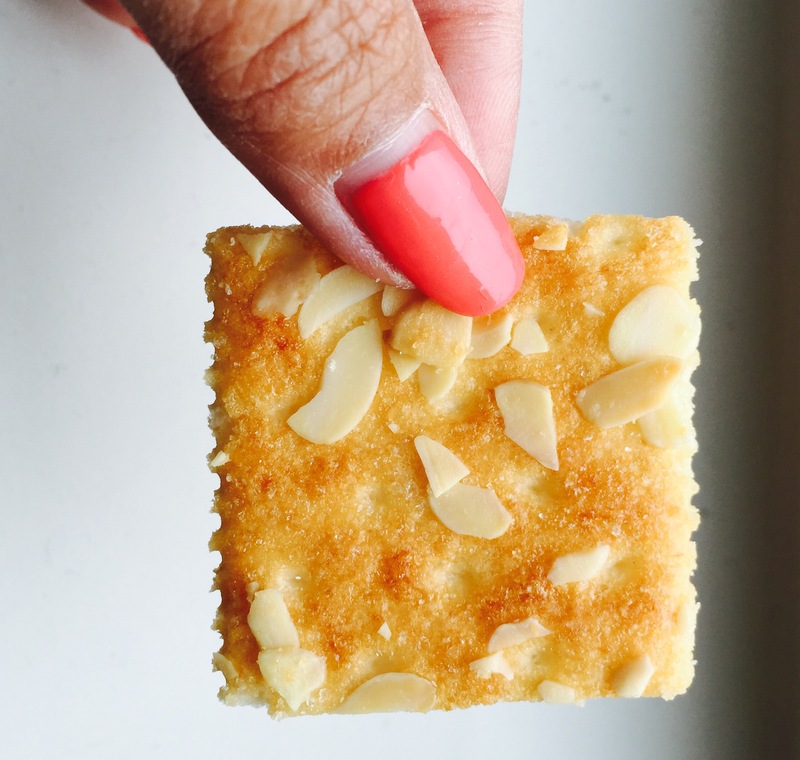 The cracker itself is very flaky and light and I love the flavor. It’s so good!